Meet FuChat, the cordless phone designed by D-Link, that can make normal calls and Internet ones if needed. It’s an eco-friendly device, made out of biodegradable plastic plus corn starch, sugarcane and some light aluminium. The phone can “sense” the user’s emotions and act accordingly, as you’ll find out if you keep on reading. 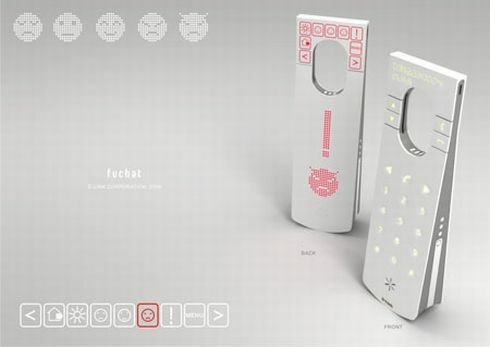 If the handset senses a change of tone or body temperature, it will react to the user’s emotions displaying texts, changing its display, playing sounds and even changing color. Sounds like a good way to work out some anger management or “read the mind” of business partners using the device in front of you. 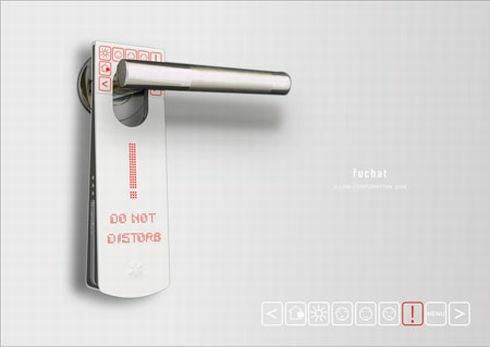 Plus, if you’re really really busy and want to inform everyone about it, you can use the FuChat phone as a “Do not disturb” sign and hang it on the door-handle. The back of the device displays, aside from the emotional info, weather images, the time and the above-mentioned sign. 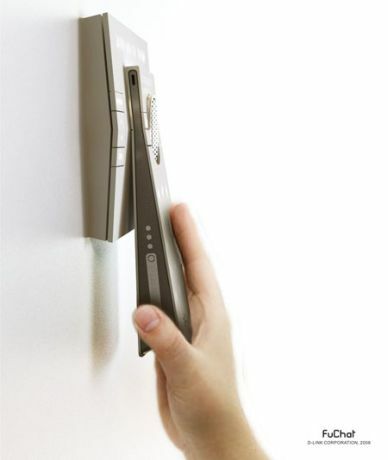 FuChat also comes with a wall-mounted base station that can also show you the weather, temperature, time and caller ID.